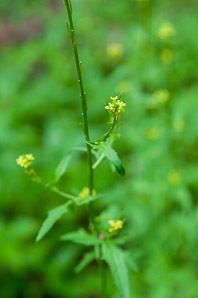 Sisymbrium officinale (L.) Scop. var. leiocarpum DC. Hedge mustard shows up in hedge banks, uncultivated ground, disturbed areas, waste ground, meadows, and cultivated land. It is native to Europe, including Britain, south and east from Scandanavia to North Africa and the Near East. 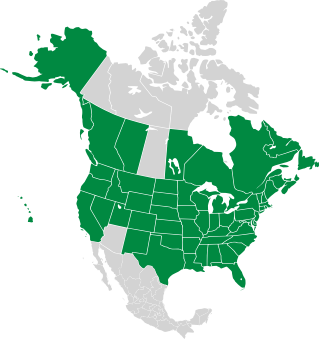 It is naturalized in North America. Plants: Plants are 18-42" (45-106 cm) high, with an erect light green to purplish green stem that is round, branched, and leafy. 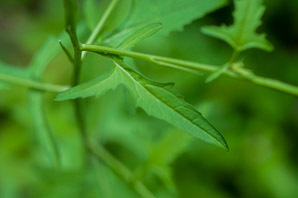 Leaves: A basal rosette of leaves form first, looking a little like dandelion leaves (petiolate-pinnatifid). Lower leaves are up to 8" (20 cm) × 2" (5 cm). Upper leaves are oblong-lanceolate, often hastate, becoming progressively smaller, and are divided into three lobes. Flowers: Stems are tipped by narrow racemes of small pale yellow flowers. Each flower has four petals, four green to yellow sepals, a central style, and several stamens. Fruits: Narrow, cylindrical seedpods (siliques), less than ⅝" (1.7 cm) in length. 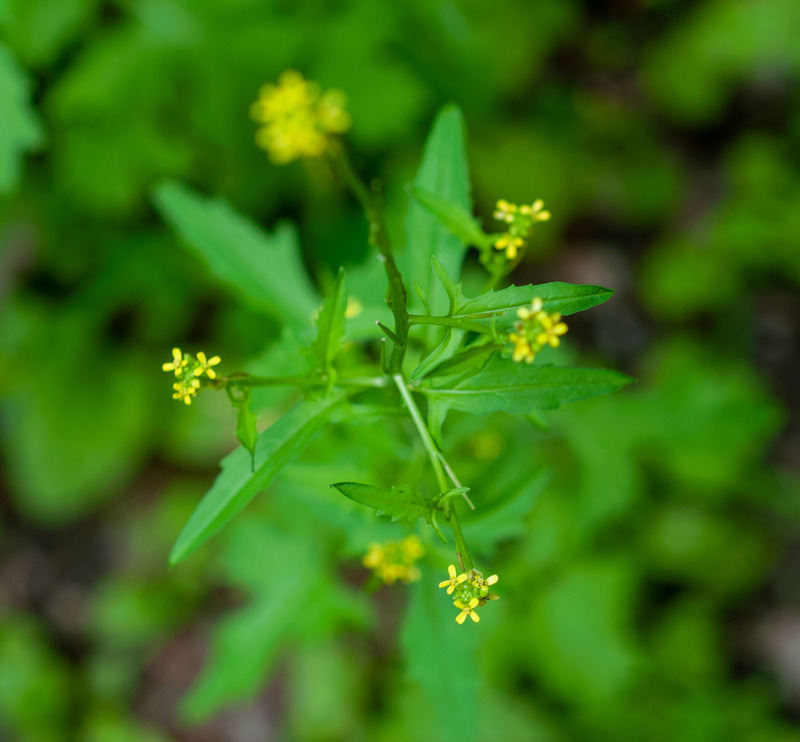 Medical: Hedge mustard does not have any proven uses. 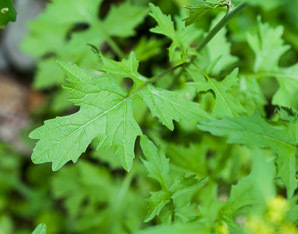 Folk medicine sometimes used it for laryngitis and hoarseness, chronic bronchitis, and inflam­mation of the gallbladder. 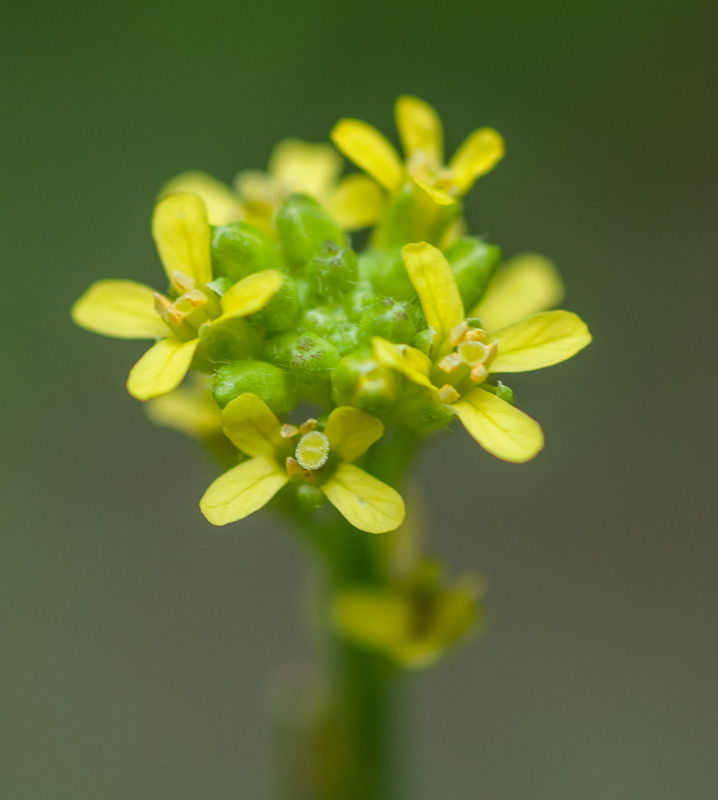 Sisymbrium officinale description by Thomas H. Kent, last updated 2 Jan 2019.